Morningstar Head of Retirement Research David Blanchett on retirement planning. With the stock market hitting record highs and the economy continuing to gain strength, boomers can look to 2014 with hope and determination to improve our financial situation and to keep us on the path to a successful retirement. Establish better habits into real financial planning. Although the last major financial crisis was only five years ago, many Americans have already forgotten the trauma it caused their portfolios. In fact, a recent survey from Allianz Life Insurance Company of North America found that only 16% of respondents said they would include financial planning in their 2014 resolutions, less than half of the 33% who said they would make financial planning a priority when making resolutions in 2009. One reason people feel more financially stable heading into this year is because some are adopting better financial habits. Fewer of the Americans surveyed this year admit they are doing things like spending too much money on things not needed and spending more than they make. While financial habits are clearly improving, being a little smarter with money is not the same as true financial planning. People need to take the next step and turn better habits into longer term-planning. Align short-term goals with a long-term plan. A major financial-planning mistake many people make is not having true alignment with their short-term goals, such as improving bad habits, and their ultimate financial goal: retirement. For example, saving money every month by cutting out an unnecessary expense can definitely have a positive effect on financial stability, but it should also be tied to a larger savings goal (like increasing their 401(k) contributions). This is especially true for boomers who have to ensure they have enough assets for a retirement period that could last 25-30 years or longer. With longer life expectancies than ever before, boomers need to make sure their money lasts as long as they do. Embrace the Transition Period. 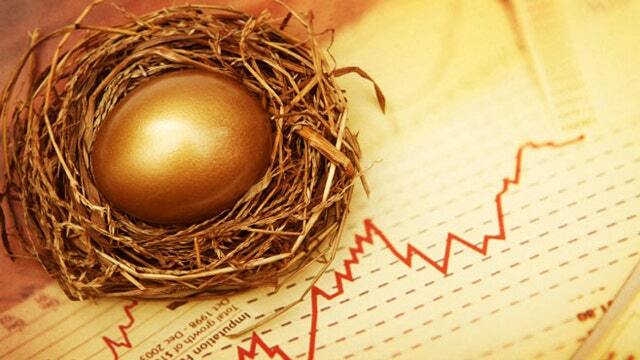 For boomers who are five to 10 years away from the start of retirement, their priorities need to start shifting from asset accumulation, which involves building their nest egg, to retirement income, which includes determining how they will access their savings once retirement starts. This is called the “Transition Period” and it’s a stage in the financial planning conversation that doesn’t get nearly enough attention. Unfortunately, the income part of retirement is not as simple as turning on a switch. A wise plan of action is to meet with a financial professional during this time and discuss any changes and/or late-stage opportunities. This includes actions like making "catch-up contributions" to HSAs and 401(k)s. This is also an ideal time to examine the available options for drawing retirement income – including products that can provide guaranteed income. When determining a withdrawal strategy of retirement accounts, it’s best to consult with a financial professional that understands the tax implications and what should be done first. Get engaged in your finances. To have real confidence about your finances this year, it’s crucial to truly get engaged with financial planning. This means more than simply watching your spending and sticking to a budget, it involves a regular review of accounts (at least quarterly), scheduled conversations with financial professionals (financial advisor, insurance agent, lawyer, tax professional, etc. ), and a financial plan that addresses how boomers will pay for both their "needs" in retirement, and also the "wants" and "wishes" that make retirement something to look forward to.